Google plus pages become the most important social media networks, that's because Google use it as a votes for your posted links to get better results in the Google search engines, also all the posts in your page indexed and archived on Google search engine with a higher priority than other pages outside google plus. 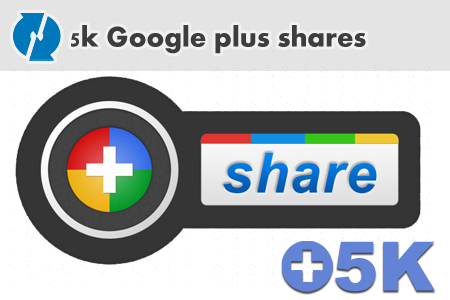 Get the power of Google+ viral with SEO Sellers by increasing the shares amount for your G+ pages / accounts posts. Delivery rate about 200 shares per 1 day.